In last December Yahoo announced an application platform for developers that allows anyone to build applications for Yahoo Mail. 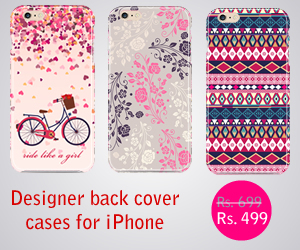 At that time there are only 3 apps and they are available to select power users only. Yesterday they introduced some more apps, this time applications in Yahoo mail are available to all Yahoo users in the US. The list of new applications available now includes PayPal, Zumo Drive, Picnik, OtherInbox and Photobucket. The idea of the Yahoo mail application platform is to reduce the time you spent on several sites for doing things, so these apps will enable you to work faster and more importantly to stick with Yahoo Mail. Zumo Drive application provides mass storage to users and you can access your space from yahoo mail and when you want to send large files you could simply upload to zumo drive from inside your yahoo mail. 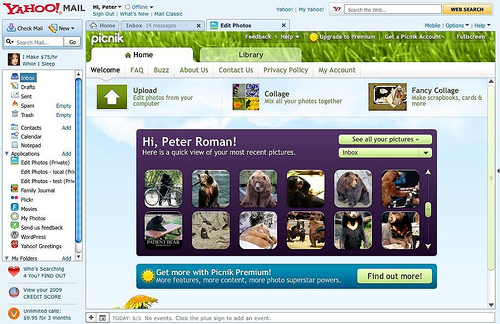 Picnik allows you to do editing of your inbox images or online images. You can crop, touch up, add effects and once you are done you can send them to someone, save on your computer, or share it via Flickr or Picasa Albums. Xoopit applications allows you to see all your inbox photos in one view, organize them and send it to your friends. 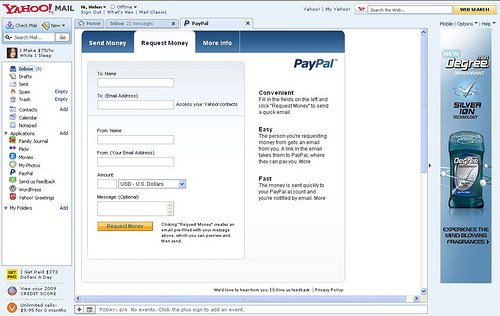 PayPal applications makes it easier to send money from your inbox. These applications are quite useful and save a lot of time, suppose someone sent an invoice to you, you can send the money from with in Yahoo Mail instead of going to PayPal. Signup for the Yahoo Mail Applications here if you havenâ€™t already.